Quick BracketMaster update for you guys. Thanks to your support, our gal Erica has advanced to the Sweet 16 of the Captain Morgan BracketMaster Challenge presented by Spike.com! Now she needs your support to get to the Elite 8. So we’re asking you guys to go to bracketmaster.spike.com and cast your fault for Erica in the South region. You can also text ERICAM to 44686 as many times as you want! 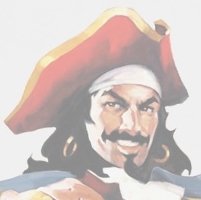 If Erica advances, the MANjr team will get to go to Vegas, courtesy of Captain Morgan. Support our Morganette and get us to Sin City, folks! Today is the last day to fill out your complete bracket for the 2011 Captain Morgan BracketMaster Challenge presented by Spike.com. If you haven’t yet done so, head over to bracketmaster.spike.com and make your selections for the Round of 32 now. You can win all kinds of cash and prizes including a $15,000 grand prize home entertainment system. When you make your picks, be sure to vote for MANjr Morganette Erica Moore from Jacksonville in the South division. We got the opportunity to serve as an honorary Morganette coach for this tourney, and we want to make sure our girl wins it all! As you can see, The Captain will be in good company when Erica makes her way through the tournament and wins this thing. Undisputed hotness aside, Erica’s the type of girl who just likes to go out and have fun. And she’s totally comfortable hangin’ with the boys. So what kinds of sports does she like? And being from Jacksonville, you know she supports the Jags. And for March Madness, Erica’s got some strong feelings on who she’ll be supporting. So Erica loves sports, she’s a guy’s girl and she’s into going out, enjoying life and having a good time. Her favorite drink is Captain Diet and she’s ridiculously good looking. Does this not sound like the Ultimate Morganette to you? In addition to visiting the bracketmaster.spike.com site, Morganette voters can also text “ERICAM” to 44686 and as Erica told us, there’s no limit to the number of times you can text a vote for her from your phone. With the Round of 32 coming to a close tomorrow, Erica will need your support in the Sweet 16. You can still win prizes for picking in the Round of 16, so make sure you visit the site, send in a text and support our girl Erica! Make sure to check out the SI Swimsuit Issue to see Jessica and new cover girl Irina Shayk! For the second year in a row, Captain Morgan is teaming up with Spike.com to bring you the Captain Morgan 2011 BracketMaster Challenge. The BracketMaster Challenge is a 32 babe, single-elimination tournament that features super-fine Morganettes from all across the country. Hotties representing the North, South, East and West will compete head-to-head in a bracket-style tourney with the winner being crowned the Ultimate Morganette on April 4. We need you, loyal reader, to get over to bracketmaster.spike.com and submit your vote for Erica Moore! She’s energetic, she’s got a smile that’ll melt your heart, and her nickname is Mangos, damnit! If she’s going to crush the competition, she’ll need your support. And hey, you might even win some awesome prizes along the way. How could you not vote for this beauty? The horrible weather in Dallas this past weekend didn’t stop the fun at the Bud Light Hotel. Bud Light took over the Aloft Dallas Downtown and transformed the place into Super Bowl party central, The Bud Light Hotel. The festivities included musical performances by the Fray with Lifehouse, Nelly, Ke$ha, Pitbull, and Dierks Bentley. On Super Bowl Sunday, visitors to the Bud Light Hotel were treated to the Texas’ Largest Tailgate party. Kudos to Bud Light for keeping the party going despite all the weather drama.